Last year, American consumers spent more than $680 billion on Christmas, according to the National Retail Federation, and estimates show that this year, holiday spending could reach $720 billion! Whoa! That’s a lot of mula. The great thing about FatBoy Ice Cream, is everybody loves it! This old school classic treat has creamy, rich, thick ice cream in the center, and oozes with flavor. Whether you gift an ice cream sandwich, a sundae, or even some Freeze Pops, you’re sure to put a smile on anyone’s face. This type of gift will never go out of style. It’s a classic that has worked and will keep working for many years to come. Plus, who can resist our seasonal flavors of peppermint and eggnog? Drool…. Some people are really tricky to buy for. You know who we’re talking about–the ones who already seem to have everything. In this case, a gift card may be a good option. To personalize it, think of what their favorite restaurants are, or even their favorite type of food. Gift cards to movie theaters and Amazon also make great options. You can never go wrong gifting skin care items–especially to a woman. Try some fragrances or perfumes, holiday lotions, soaps, body wash, or bath bombs. No matter what gift you give, your friend is sure to feel pampered this holiday season. Athletes aren’t the only ones who need to keep hydrated. A good, quality, insulated water bottle is actually a very practical gift because literally everyone could use one. Insulated bottles are great for keeping your drinks cold, or your beverages hot. Prices can vary from $10-$50. It seems that just about everyone has a smartphone, or some type of electronic device in their homes. Why not gift an accessory for these? Earphones, extra chargers, and even magnetic car mounts would be a great addition to someone’s device. Some people are a little trickier to shop for, but you know they love fashion, and they love to accessorize. In this case, you may want to consider some socks, scarves, gloves, hats/beanies, jewelry, and even sunglasses. Maybe the person you’re buying for loves to cook. Kitchen gadgets and other accessories may work really well for this chef. Matching dish towels, a set of knives, some cookware, or some pot holders is sure to elicit a smile out of this person. We all have that one friend out there who’s house is always bursting with the most divine smells. These friends love anything fragrant like candles and wallflowers. They likely go through their candles and sprays quickly, making these scented accessories a great gift option. Who doesn’t love games? There are several games that can be played alone, or with several people. Card games are small, compact, and convenient for gift giving. Try the classics like Uno, Skip-Bo, and Phase 10, or branch out and try some fun newer games like Cover Your Assets, Five Crowns, and Exploding Kittens. The sentimental gifts are always a fun way to show people how much we care, and there are so many different options to choose from and customize for your loved one. Try making a calendar, framing a favorite photo, decorating a mug, designing a blanket, or even making a photo book. We hope you’ve found these gift ideas helpful and wish you the best of luck finding the perfect gift for your family and friends. 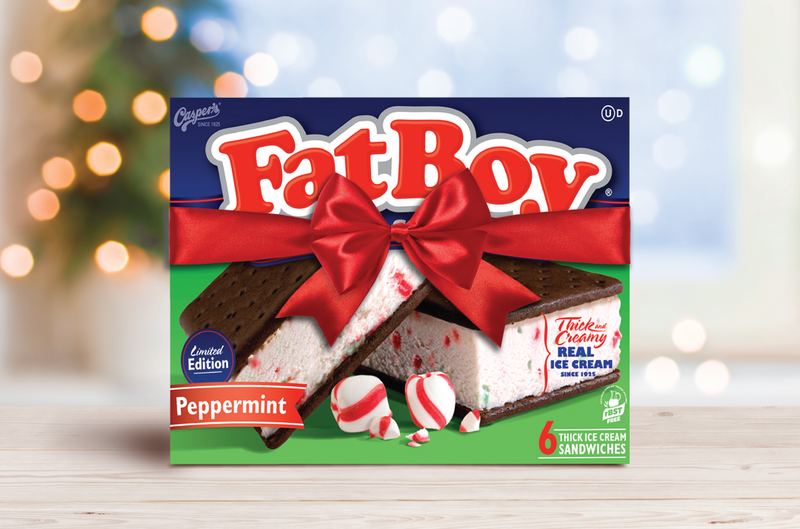 Don’t forget that after all that shopping, you’ll need to relax with a box of your favorite FatBoys to help you unwind. After all, you deserve it.